Broward County is conveniently located between Miami-Dade and Palm Beach Counties, in Florida's southeast region. It's 1,211 square-miles of tropical landscape and 23 miles of Atlantic Coast beaches, with an average temperature of 83 degrees, makes the Greater Fort Lauderdale area a desirable place to live and work. Broward County is home to 1.6 million residents, and another 3.4 million reside in Miami-Dade and Palm Beach Counties. Golfing, fishing, and boating are among the many leisure activities enjoyed by both visitors and residents. 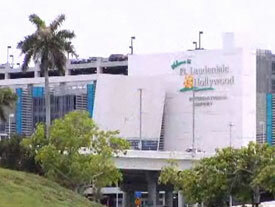 Several cultural, historic, and scientific resource facilities are located in the Fort Lauderdale area including the Broward Center for the Performing Arts. Broward County has the nation's largest fully accredited school system, eleven colleges and universities, and four career and technical centers. Close to 40 hospitals serve the medical needs of our community. 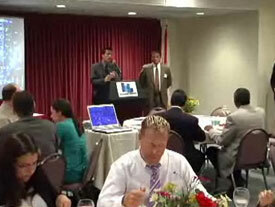 One of the many jobs of the GFLCC is to provide members with networking opportunities. Aside from our weekly, monthly and annual events, we currently work with four leads groups. 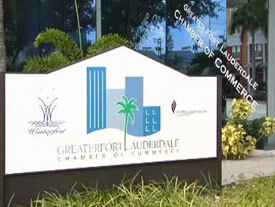 Since 1910, the Greater Fort Lauderdale Chamber of Commerce has been committed to serving the business community and helping to promote future economic growth and development. At the GFLCC, community and economic growth are of the utmost importance, which is we we have a variety of programs and councils that take charge in bettering the Fort Lauderdale area. (c) 2009 CGI Communications, Inc. All Rights Reserved. Want to share this information with a friend? Simply fill in the fields below and press "send". Your recipient will receive a link to this page. I thought you might enjoy this!